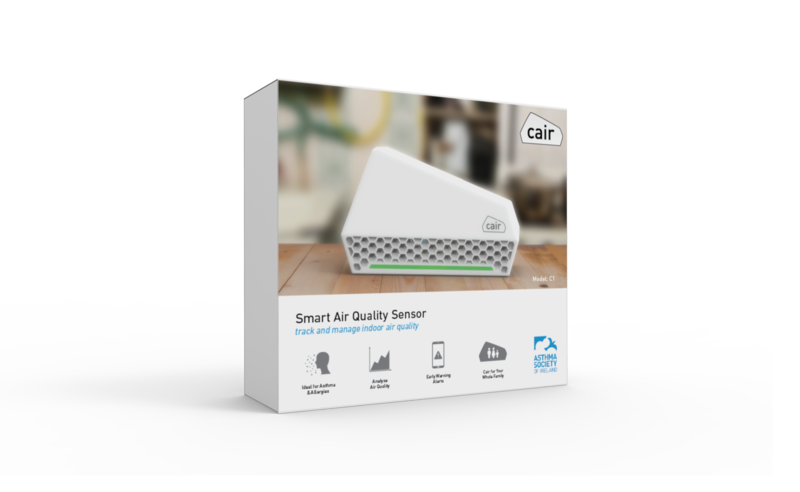 NuWave’s cair smart air quality sensor for office environments is designed to meet Well Building Standard Requirements by detecting the presence of Volatile Organic Compound (VOCs) and monitoring particle density (PM10, PM2.5) as well as environmental parameters (temperature and humidity). 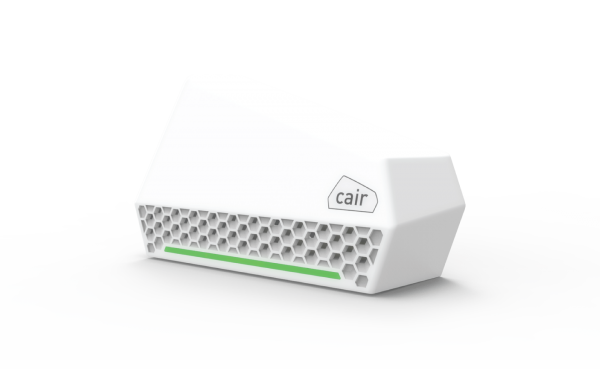 We spend roughly 25% of our time at work so managing air quality at the office is important! 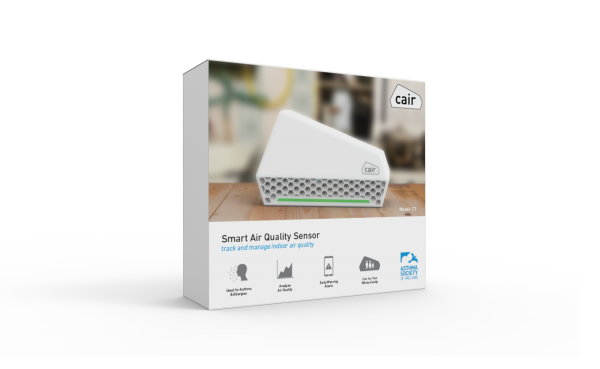 Indoor air can be 5 times more polluted than outdoor air and poor air quality at work can have an impact on our productivity and lead to symptoms such as eye, skin and airway irritation, headaches and fatigue. 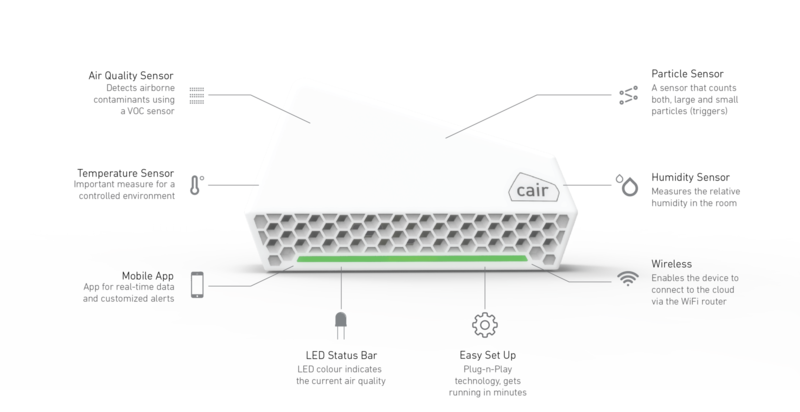 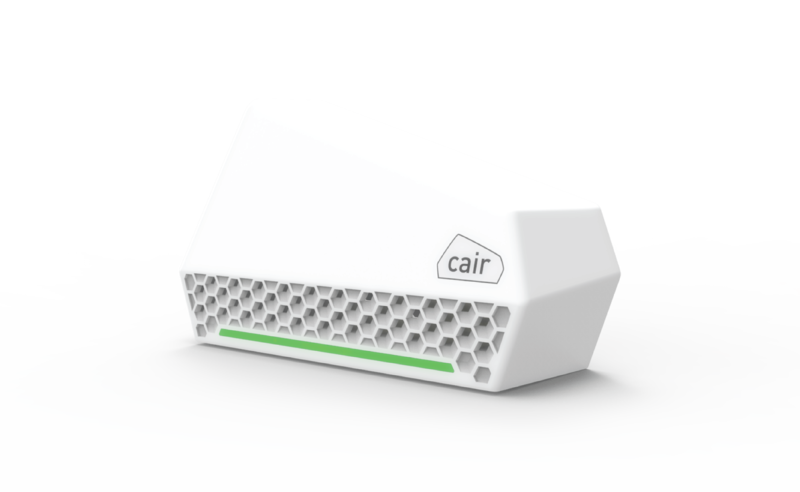 Each cair sensor is connected to a cloud database via local Wi-Fi connectivity and data can be exported in CSV format to e-mail for detailed offline analysis. 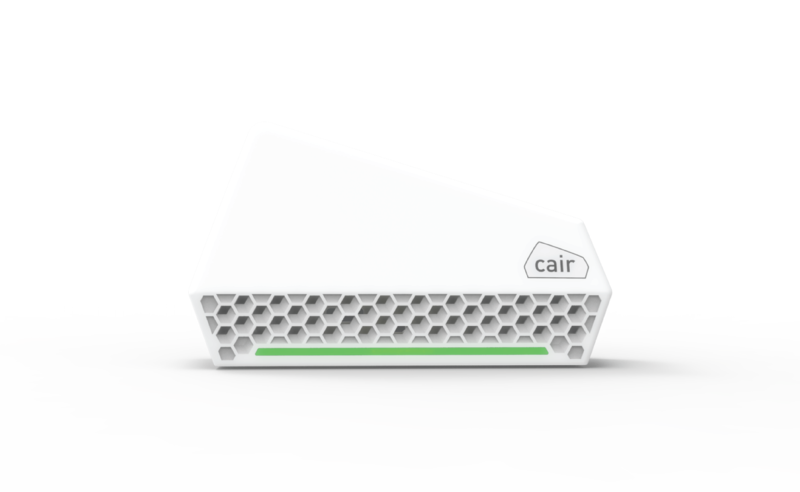 Your cair sensor can be used with an app available on Google Play and the iOS App store. The app can be used to set up each sensor with your Wi-Fi network and one account permits multiple logins to the app for real time monitoring of sensor data. 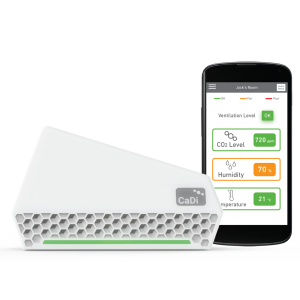 For detailed analysis of sensor data, a web portal login provides functionality for commercial customers to download and analyse data offline. 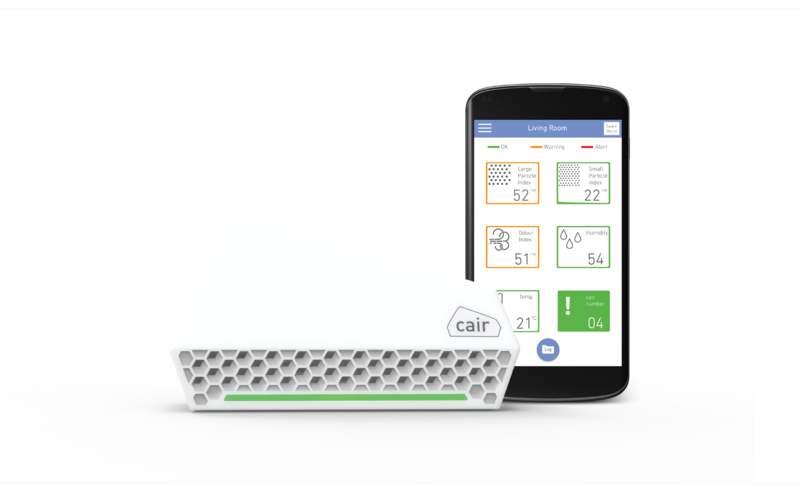 Data is sent by e-mail in CSV format. 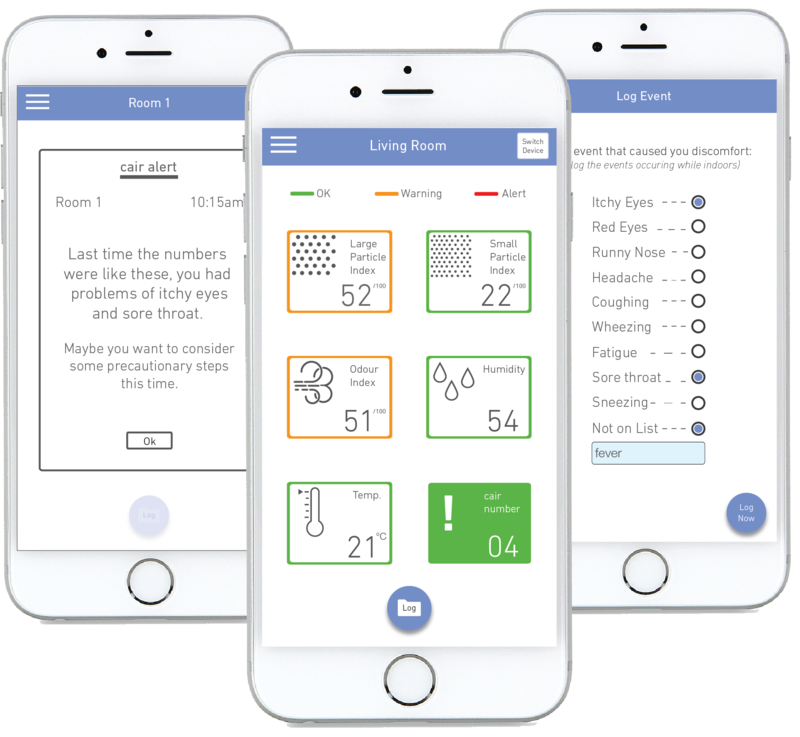 NuWave’s CaDi CO2 Monitor is a non-dispersive infrared (NDIR) based Carbon Dioxide (CO2) Monitor designed for detection of CO2 concentration levels in domestic dwellings, offices and other indoor environments for the purposes of effectively managing ventilation for occupants comfort and health.